In 2018, Country Club East in Lakewood Ranch won a National Award for Lifestyle! Want to find out how? Schedule an appt to see this BRAND NEW home that is ready for Immediate Occupancy! The "Angelina" Model features Stunning Interior Living Spaces that are Beautifully Designed on an Open Plan, w/ high levels of natural light. Your gaze will immediately shift to the Large Triple Glass Sliders that magnificently showcase a Brightly Illuminated Lanai, Pool & Spa, & Outdoor Kitchen w/ decorative stonework. The BEAUTIFUL kitchen, however, will have you saying "You Had me at Hello!" The Stunning Extended Quartz Countertop Makes for a Fabulous First Impression, & the gorgeous 42 inch white cabinets w/ under-mount lighting, Gas Burner Cooktop, and S/S Appliances add a touch of contemporary flair. Cleverly Imagined, the Angelina's versatile great room makes living cozy & comfortable all at once. The great room features stylish Porcelain Wood Plank flooring throughout the main areas, and The "Agreeable Gray" blends this home's best features into a perfect harmony of color. The roomy Owner's Retreat is awash w/ natural light, & includes an en-suite bath w/ Walk-In Shower, Garden Tub, & Two Vanities. The 3rd bed can easily double as a study/den too! Country Club East features a full-time lifestyle director, an active social calendar, & exclusive resident-only amenities. 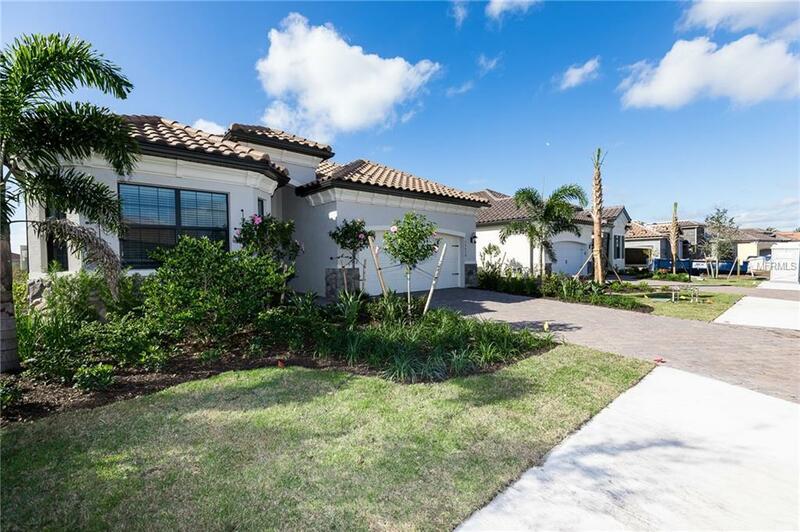 You will enjoy all Lakewood Ranch has to offer, including vibrant town centers, fine dining, shopping, & more. Schedule your showing today!